Search For "E-Commerce & IT Outsourcing" Companies in Naples, Florida - Click Here Now! Do You Know Any Merchant's That Want 25% ( Money) Back On All Customer's Using Major Credit Cards At That Merchants Place Of Business? You Just Have To Refer That Merchant To MatchRate Plus . No Selling... Just Fill Out The Application(no App Fee) On That Merchant On Your Website With Matchrate Plus (basic Information,name,place Of Business,business Number,email ,special Instruction On Contacting). Then Send That Application Through Your Website Or The Mail To Matchrate Plus .Thats It..... MatchRate Plus Will Contact And Closes The Merchant You Reffer To MatchRate Plus And You Get Paid 50$ Up Front PLUS 5% To 17% Residual Commission Per Credit Card Being Use At Each Merchant You Refer. 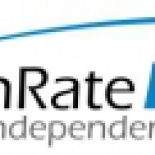 For The Life Of Each Account That Joins MatchRate Plus MatchRate PLUS™ Referral Agent Program Start Generating An Extra Monthly Income With MatchRate PLUS, You Can Become A Referral Agent And Market Our Patent-pending Merchant Partner Offer To Merchants Nationwide. For Each Merchant Partner Lead You Refer That Becomes An Active Account, You Will Receive A $50 Bonus Plus A Monthly "residual" Commission Of 5% To 17.5% - For The Life Of The Account. It's 100% Free To Enroll And Takes Just Minutes To Become A Referral Agent You Will Immediately Receive Your Referral Agent Web Site URL (e.g. Www.matchrateplus.com/yourusername). Referring Merchant Partner Leads Is Easy MatchRate PLUS Will Train You How To Generate And Submit Qualified Merchant Partner Leads Using Our Company Brochure. Once You Submit A Lead We Will Handle The Rest. MatchRate PLUS Will Contact Your Lead And Complete The Entire Sales And Account Boarding Process For You. Everything Is Tracked For You MatchRate PLUS Tracks All Of Your Referral Leads, Active Accounts And Commissions For You In The Agent Back Office Portal. ACH Commission Payments Commission Payments Are Calculated On The 15th Of Each Month And Deposited Directly Into Your Account Via ACH. Lifetime Monthly Residuals You Receive Monthly Residual Commissions For The Life Of Referred Merchant Partner Accounts. Sign Up ( Not Charge To Sign Up And Start Making Money) At This Website Http://www.matchrateplus.com/Home.aspx Our Offer To Merchants MatchRate PLUS Has Introduced A New And Patent-pending Merchant Account Service Called "Merchant Partner". With Merchant Partner, A Merchant Can Become The Agent On Their Own Account. As The Agent On Their Own Account, The Merchant Partner Will Receive 25% Of The Commission Generated From Their Merchant Account Every Month..
Nubreed Marketing/Matchrate Plus Http://www.matchrateplus.com/Home.aspx in Naples is a company that specializes in Computer Related Services, Nec. Our records show it was established in Florida.